Acertain magic permeates the air in La Isla del Encanto, or “The Enchanted Isle.” Puerto Rico’s charm blesses the island with incredible flavors, hypnotizing sounds, dazzling natural beauty, and extends to its warm, inviting people. Puerto Ricans have done an incredible job restoring the island following Hurricane Maria, with craftsmen, artists, builders, and planners all contributing their knowledge, resources, and materials to ensure Puerto Rico remains one of the most welcoming destinations in the world. Every day over 80 flights from different countries touch down on the island, which boasts six commercial airports. 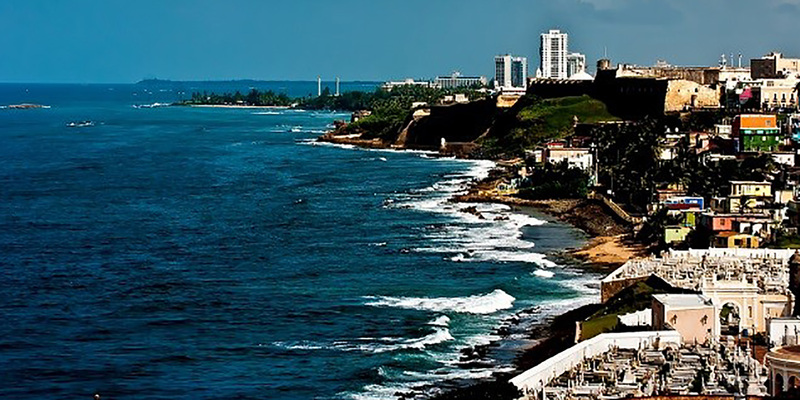 For most travelers, their Puerto Rican journey will begin in the island’s capital, San Juan. There are countless stories locked away in the fortress that surrounds Old San Juan. Every corner of the city whispers tales of history. The Plaza de la Rogativa, for example, is home to a grandiose bronze sculpture depicting a religious procession surrounded by 180-degree views of the crystal blue San Juan bay. The sculpture memorializes a British led attack in 1797 against San Juan’s heavily outnumbered soldiers. In response, the citizens of Old San Juan raised their torches and gathered for a religious procession, an image that resembled a troop of Spanish reinforcements from a distance. The British, fearful of defeat at the hands of the Spanish army, immediately withdrew. 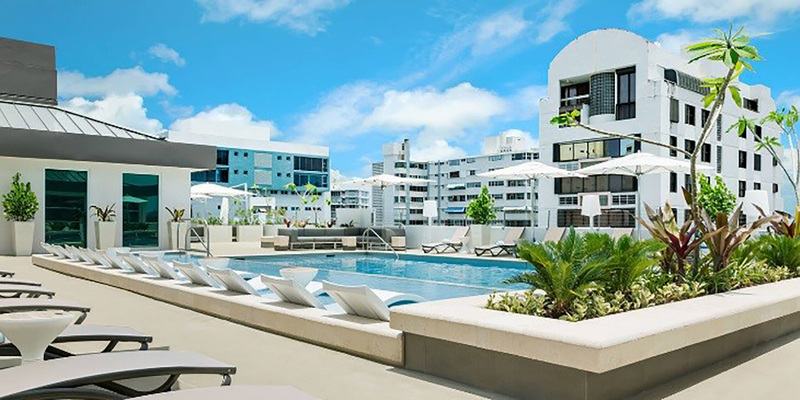 Approximately 20 minutes from the scenic Plaza de la Rogativa, you’ll find the AC Hotel San Juan Condado. Nestled in one of the capital’s most popular areas, guests will find themselves in walking distance of stunning beaches and lively entertainment. Puerto Rico’s rainfall and tropical climate make the land fertile, which prompted many farmers to dedicate themselves to harvesting a colorful variety of exotic fruits, including soursop, chironja, starfruit and guava. Currently, many restaurants, bars, and establishments have firmly committed themselves to the sustainability of the island, sourcing ingredients from local farms. Visitors can savor these delicious ingredients in any of Puerto Rico’s 4,000 open eateries – from the humblest ‘chinchorro’ dive where you can find fresh fruit juices and fried delicacies, to the most upscale restaurants which showcase creative culinary expressions. To experience trendy local fare, pay a visit to Restaurante Perla at La Concha Renaissance San Juan Resort. Beyond its incredible selection of seafood and steaks, you’ll be dazzled by the unique architectural setting. 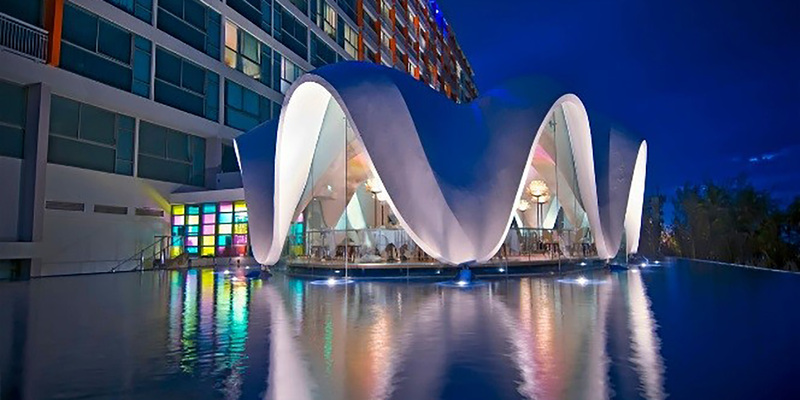 Imagine dining in a conch-shaped structure that sits on a reflective infinity pool overlooking the ocean. The island’s charm extends to its dazzling beaches. A trip to the shore is complemented by a stay at the Courtyard Isla Verde Beach Resort, which is only minutes away from the surf at Pine Grove Beach and the tropical underground river rapids of the Camuy Caves. To explore another side of the island and one of the world’s great phenomena, hop on a kayak at night and paddle to the island of Vieques. There, you’ll discover Mosquito Bay, a glowing inlet filled with living organisms that produce a bioluminescent glow. Other must-see attractions include the fine sand beaches that rest calmly along the tropical rainforest of El Yunque National Park. To explore the idyllic shore, you can stay at the San Juan Marriott Resort & Stellaris Casino, which, in addition to being near the park, also boasts one of Puerto Rico’s main entertainment attractions. The island has more than 100 years of casino history, making it one of the top destinations for players. Puerto Rico offers hundreds of attractions, including luxury retail, lavish art galleries and inspiring museums. To ensure that your stay is as enchanting as the island itself, Marriott International offers nine different properties fully prepared and eager to welcome you.